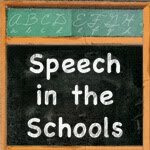 Advance for Speech-Language Pathologists and Audiologists recently posted on Facebook looking for guest writers for a new blog about school-based issues and I threw my hat in the ring! My first post, about the role of technology in "contextually relevant" interventions, is up there today. Please go check it out here!